160.5 ACRES – VIRTUALLY ALL TILLABLE LAND! | Lawson & Co.
160.5 ACRES – VIRTUALLY ALL TILLABLE LAND! 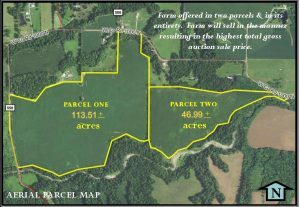 Thursday, April 18th, 6:30 p.m.
Parcel One: 113.51± acres, mostly tillable land, primarily Chagrin & Shoals soils, frontage on Co. Rd. 1000 North & Co. Rd. 500 West. 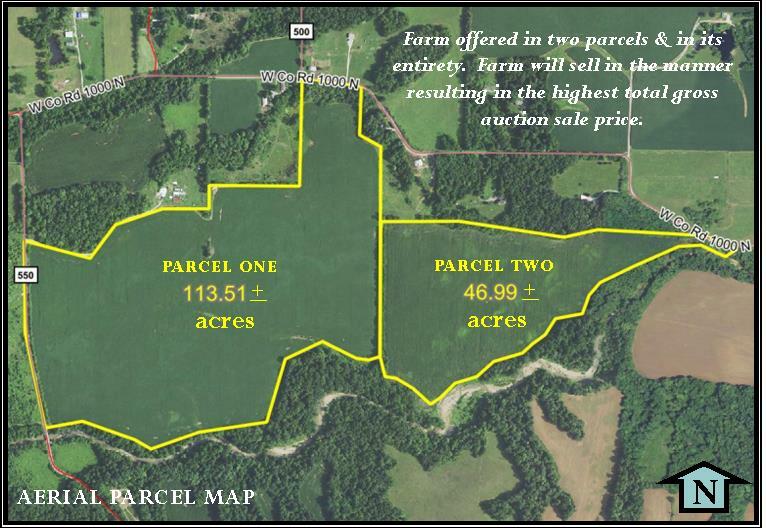 Parcel Two: 46.99± acres, mostly tillable land, primarily Chagrin soils, frontage on Co. Rd. 1000 North. Farm offered in two parcels & in its entirety. Directions to Property: Take SR 231 south from Crawfordsville or north from US 36 to Co. Rd. 1000 North in Putnam County. Go west on Co. Rd. 1000 North to the farm. Please look for signs. Directions to Auction Site: Bainbridge Community Building, 201 North Grant Avenue, at the west edge of Bainbridge off of US 36. TERMS: Successful purchaser to pay 10% down day of auction with balance due on or before May 17, 2019. TAXES: Buyer to pay real estate taxes due and payable May of 2020 and all taxes thereafter. POSSESSION: Day of auction with release of liability. IMPROVEMENTS: Improvements to be sold in “As-Is” condition.